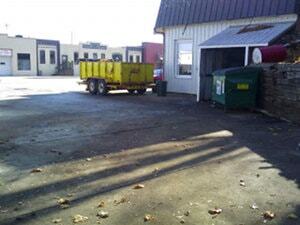 The idea for doing a charity car repair in West Bend WI first came to mind in the summer of 2009. My goal was to help someone who genuinely needed some free auto repairs. It took about 2 years to put it all together and see it finally come to fruition. In 2011 the idea became a reality. We teamed up with NAPA Auto Parts in West Bend WI to supply the needed parts and our local country radio station, 92.5 WBWI, to promote it. 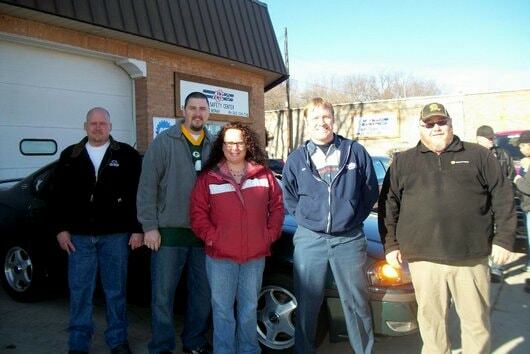 WBWI listeners were asked to nominate someone who genuinely needed some free auto repair. Coined ‘Helping Hands’ by 92.5 it really fit when considering that when a burden is shared great things can be accomplished, and really were accomplished for our Helping Hands nominee. The family we chose definitely had received some setbacks over the last few years. 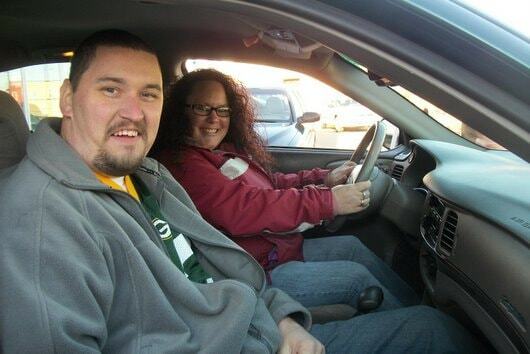 Eric had been injured at work and no longer able to work, and Stacie was working part-time while trying to finish her degree, all while supporting their family. Their vehicle was a 2001 Chevy Impala with about 140,000 miles. It had become so unreliable that it spent most of this last year parked next to the garage. For her last school semester Stacie would need to travel to Fond du Lac and she really needed a reliable, economic vehicle. The choice was easy. After my initial inspection of the vehicle I realized even though it needed some TLC it really was a nice vehicle. The reliability issues were caused by a faulty Mass Air Flow Sensor and a malfunction with the Transmissions Torque Convertor Lock up. The diagnoses revealed that the engine's computer could not adequately control the application of the Torque Convertor and the vehicle would jerk and surge because of it. The repair was completed and the engine computer was reprogrammed. We also replaced the front brakes, wheel bearing, control arm bushings, outer tie rod end, and performed a complete 4 wheel alignment. And we gave Stacie and Eric's Impala a complete tune-up, new upper and lower radiator hoses, an oil change, a new muffler, and filled the fuel tank with fresh gas. To finish it off we took the vehicle to Full Service Car Wash and had it completely detailed before returning it to Eric and Stacie. All in all the services performed on the vehicle came to about $3,000 worth of work. It was a great experience to see the smiles and the joy on everyone’s face, not only Eric and Stacie but everyone involved. We are looking forward to doing it all again next year. 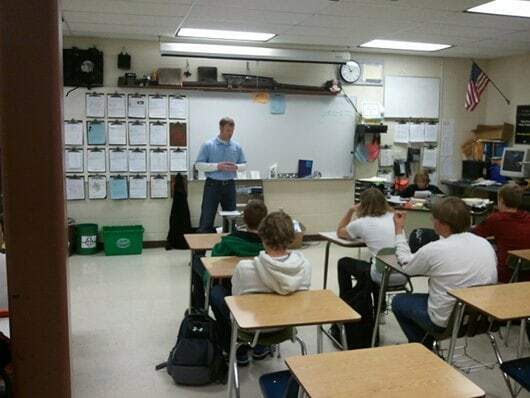 I recently had a great opportunity to be a guest speaker for the West Bend High School Automotive Technology students. I was excited to share my passion for the automotive repair industry with what will perhaps become new faces in our workforce. Even though it was a walk down memory lane, things have certainly changed since I attended the Automotive Tech class at West Bend High School. The first rate facility has to be the biggest change I noticed. They are thoroughly equipped to take on just about any automotive repair. Many of the students are more than eager to spend off periods in the shop working on the ongoing projects. It really is a functioning shop that faces some of the same challenges the professionals do on an everyday basis. As a guest speaker I was able to give the students some insight with my many years of being a part of the automotive repair industry. Starting basically where they are now, going on to Moraine Park Technical College in Fond du Lac and eventually ending up owning the shop I started at in high school. The topics I shared with them were the challenges they can expect as a technician in the auto repair business, the great opportunities that are available and some inside tips on becoming successful. Knowing that not every student in the classes was going on to become a technician, I also spoke on general life skills. Working 3 jobs while being a full time student in tech school taught me a strong work ethic will be rewarded. How to work smarter and not necessarily harder and success requires discipline. I also shared some points learned from the 'school of hard knocks’ I acquired when I left the security of my parent's home. I touched on the importance of setting priorities and effectively managing finances are key components to being successful in whatever career path they choose. 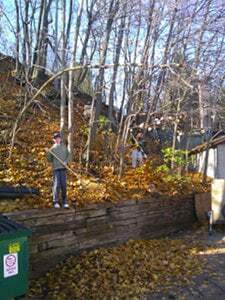 I was happy to support the Emmaus Bible Church Youth group and allow them to take care of my fall clean up. This is always a daunting task normally performed by myself on what seems to be the coldest and most windy day in November. This year, as you can see from the photos, the weather was great. The youth group, with the youth directors, have been working to raise funds for their teen room renovation, the turn out was great and clean-up was a snap! Thanks teens. 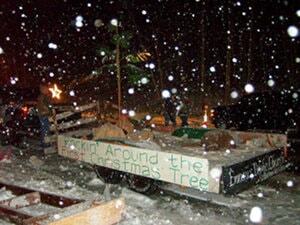 I was asked by my church to pull a float in the West Bend Christmas Parade. As you can see from the pictures it was snowing like crazy. It started a few hours before and lasted well into the night. I don't remember exactly how much snow we got but I think it was 8"-12".